A friend recently asked me: Why don’t you write more about fashion? The title of your blog is Fashionable Flaneur, why don’t you live up to it? Fashion is always at the top of my interests list -I’m on vacation, yet I check out my favorite blogs daily. However, in the last weeks I’ve been reading lots, having lengthy discussions over everything and traveling a little. My family and I have spent the last four days in Chalikidiki, one of the most beautiful places in Greece -to me at least. The thought of the sea bed disappearing under my nicely manicured feet felt exciting as well as a little terrifying. It also reminded me that there is an other part of me, that I had long forgotten and not shown. Everybody knows that I love books, magazines, the comfortable and busy city life, theater, shopping, coctails in nice places, shoes and that I like to dress up to do my grocery shopping. Yet there is a part of me that loves to swim, go canoeing, take long walks in the woods, have salt on my skin and hair, listen to the noises the cicadas make and wear no more than a tee and a pair of Daisy Dukes. This is a photo I took in Karidi beach (in Greek Karidi means nut -funny, isn’t it? ), where I swam today. The rift I told you about is in Toroni. 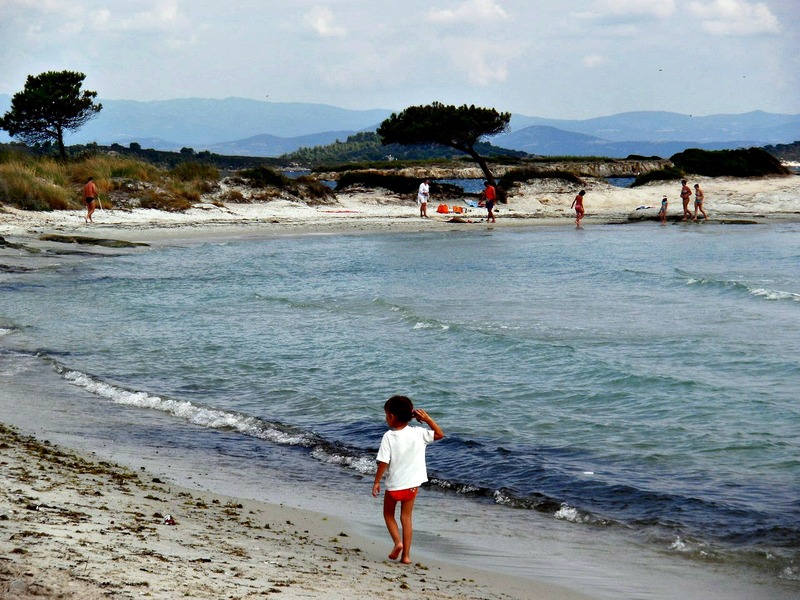 Both places are in Sithonia, Chalkidiki. Previous Article← Ο κόσμος είναι θέατρο, αλλά η διανομή των ρόλων είναι χάλια.